After a month of hard work with the podcast, music, progamming the contest and roadtrip with interviews it’s finally out! #Podgressive EP035 might be our biggest project so far and we truly hope that you will like the episode. This time with a 90’s classic techno set mixed by our swedish local veteran Marcus Stork and one of the biggest swedish trance exports mr Marcus Schössow! 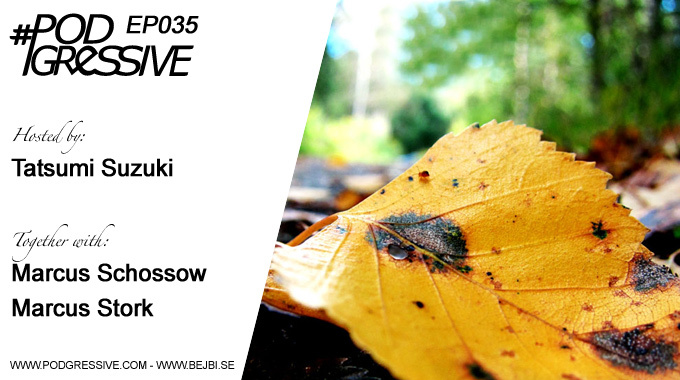 As always, #Podgressive is hosted by me, Tatsumi Suzuki and I have been collecting smashing tunes for some while for this show. As you see on the banner, we have our first contest going on! Click on the banner to enter the contest. 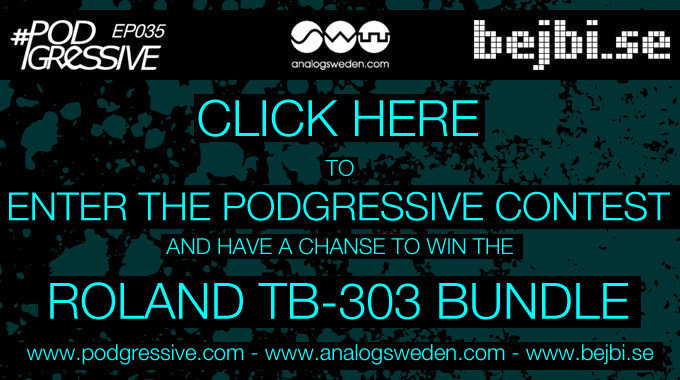 You have now the opportunity to win the Roland TB-303 Cushion and iPhone 4 case gold edition in collectors box by Analog Sweden!! The winner will be announced on the next months podcast, good luck! Now, head over to >>Podgressive.com << and listen to the #Podgressive EP035!